My favorite Magazine just went digital! You can now view past issues online, and catch up on breakthrough beauty information. They created a beauty tool, the 5-second makeover tool. It’s easy, upload a picture and pick the procedures, it gives you a before and after look. You can even email your picture to yourself and friends. I’m not telling what procedures I had done, but I had fun playing and catching up on past issues. 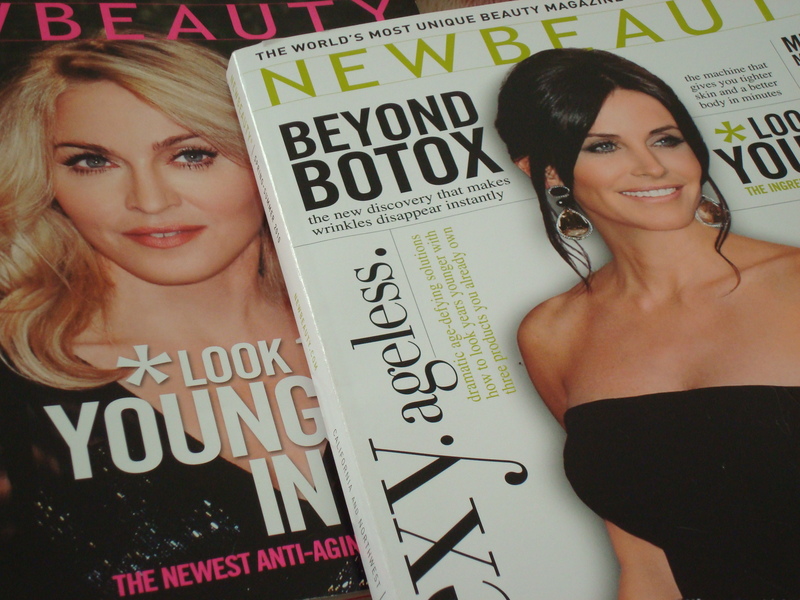 New Beauty Magazine gets a TEN!! !